Frustrated suicide of former Jap Premier. 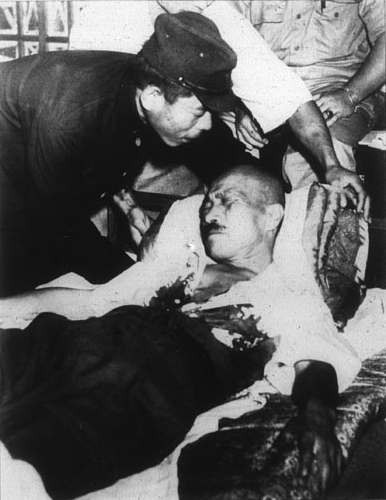 This photo shows the bleeding Jap immediately after he had shot himself. Charles P. Gorry, "Tojo's Last Plot Fails," in POYi Archive, Item #101, http://archive.poy.org/items/show/101 (accessed April 18, 2019).